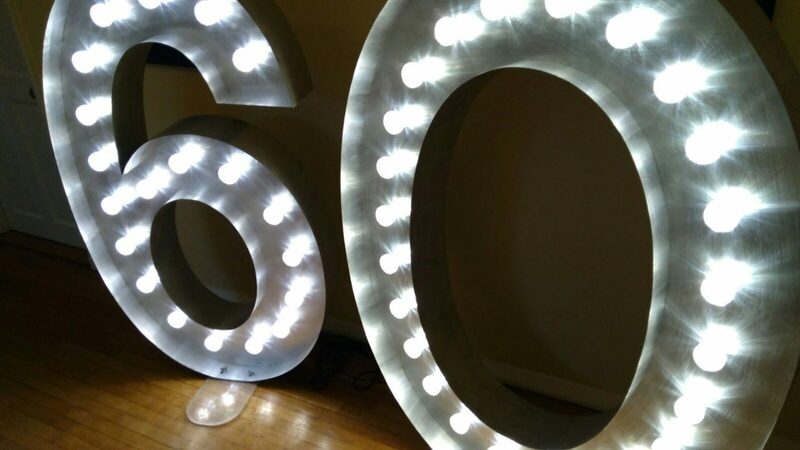 Create a carnival atmosphere at your next special event with our fairground lights. See your name, ceremony date, initials, or a special word up in lights at your wedding, corporate event, or birthday party. In fact, our decorative metal lights are hugely versatile – they only need standard power sockets. Why hire from Wedding Letter Hire? We can help you wow your guests and create a party atmosphere that people will remember for a lifetime. Our bulb letters look amazing on photographs and are suitable for use in the daytime or the evening. We’ll be able to provide any combination of letters, giant illuminated numbers, and ampersands in order to make a personal statement which is eye-catching and a fantastic talking point. Our fairground lights are 5ft tall and are individually wired and PAT tested. They are handcrafted from aluminium and are surprisingly lightweight. 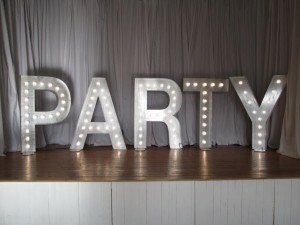 Additionally, the giant letter lights are simple to set up and we can deliver and collect within the UK. Simply ask one of our customer service team for more information. A carnival or fairground theme is all the fashion at the moment. You can go the whole hog and hire rides such as dodgems, waltzers, or even a big wheel. Less thrilling options include hook-a-duck or a coconut shy dressed with hay bales and balloons. Candy floss is entirely optional! What would you hire for your fairground themed party? 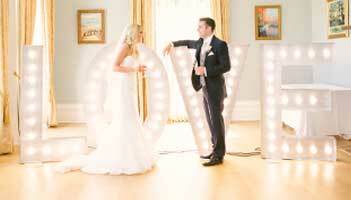 Our large lighted letters can be used in your photographs, and then on thank you cards to send to your guests. 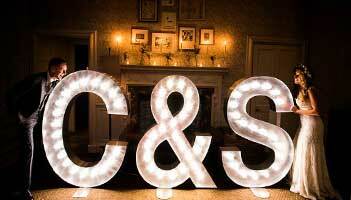 For corporate events, having your company name in lights is a bold and bright move and creates opportunities for photos which can then be shared with others, increasing your event’s reach. 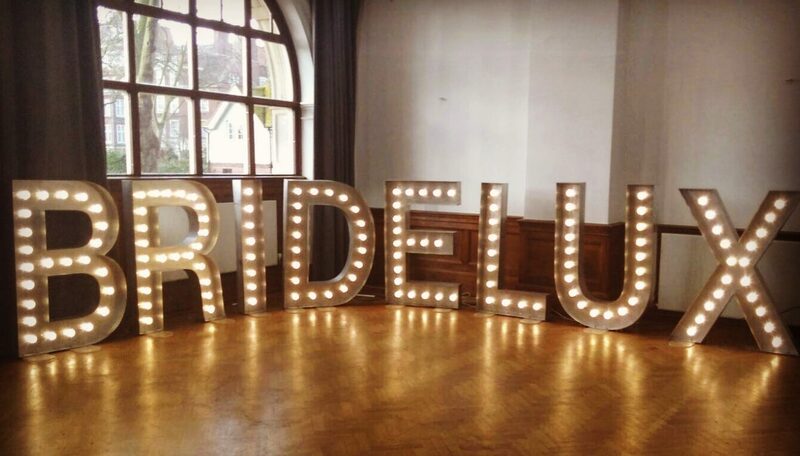 The advantage of our fairground letters hire service is the convenience and cost. Custom-made, freestanding lighted signs are expensive and can take weeks to source and to be made. With our service, we can arrange a tailored combination of letters and numbers in order to create your desired word or phrase, all within a particular time constraint. 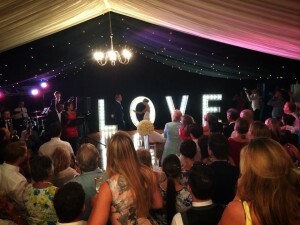 Prices start from just £98 per letter, with popular combinations like the stunning LOVE light sign and illuminated MR and MRS sign at even better package rates. 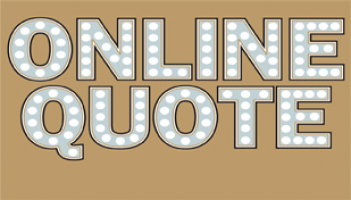 Click here to get an online quote or have a look through our website for more inspiration. 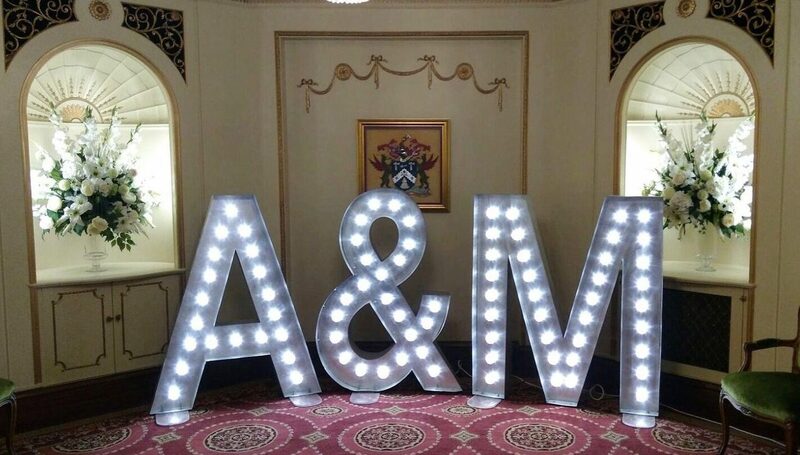 If you want to speak to a member of our team, call us now on 01582 206046 to arrange the hire of your wedding letters and fairground lights.